Perhaps you've been blogging a while and beginning to think some of your posts are outdated. What should you do? It's always best to have as much evergreen content as possible on your blog/website. 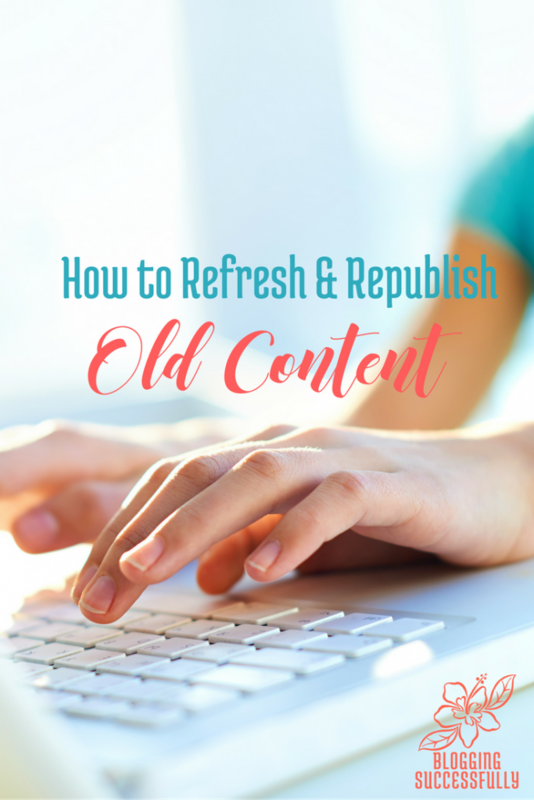 Today, I'm going to give you several tips for updating old content. But first, Why should you update old content? The first goal, always should be to serve our readers. If the post contains outdated information, it should be updated to better serve them. Who wants to read stuff that no longer applies, right? It's been documented that you will also have a better click through rate on Google when the snippet description shows a recent date. You've changed your opinion or your preference in regards to the topic, or there is new information about a topic and you need to share it and/or link to it to keep your readers up to date. There are typos or grammatical errors. Please update asap! The post is no longer relevant and you want to completely re-write it to support your blog's current focus. Google likes it when you update old content. When the bots crawl your site next time and realize that you've updated the information it can give you a boost in your Google rankings. Interlink naturally with other posts if possible, both onsite and off – if you know of another great article that is relevant to link to. Google gives higher ranking to a post that is several years old if an authority site is linking to it, so look for great sites and new posts to link to. Change the date and republish, DO NOT CHANGE THE URL or it will break any links already shared around. If the URL is different, it is now a “new post” to Google, not an “updated” one. Add the updated post to your social media schedule and email list again. For those who'd like to dive into this topic even deeper, we have a DIY Content Evaluation e-course available as part of the membership resources for The Blog Connection members or you can purchase it separately here. It's an in depth, step by step course that will help you evaluate, organize and update the content on your site for optimum results.